It was cold when we left the house at about 6:45 am, but I was well prepared. I hate "Over" dressing but something told me it was going to be cold as we made our way into Azusa Canyon. 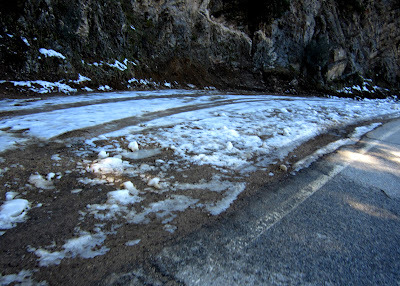 I right and last Tuesday's rain left parts of GRR wet with patches of ice and snow in the shadier parts of the road. 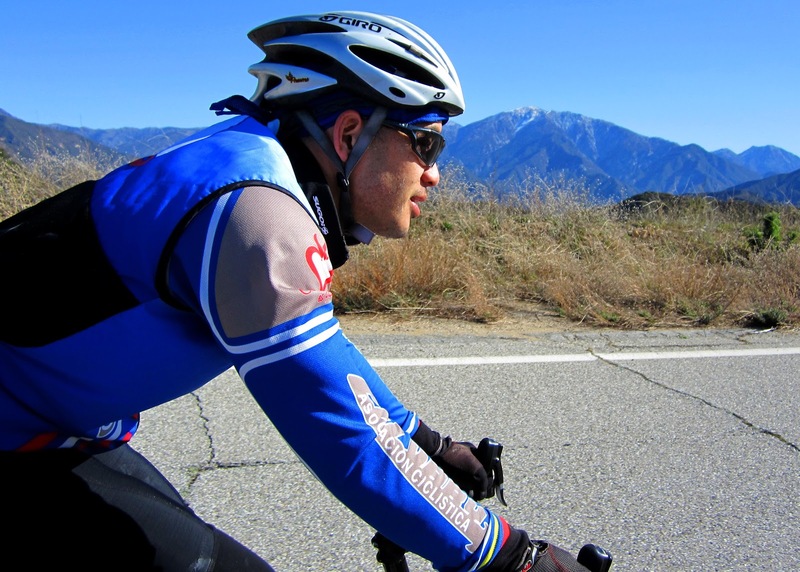 Our goal was to ride from my house in Pomona to Azusa Canyon with a final destination to Mt Baldy Ski Lifts. We were pressed for time so we ended up riding to Mt Baldy Road / Ice House Canyon (Pictured Below). For me this was an epic ride but I did well. I decided against the fixed gear bike today. 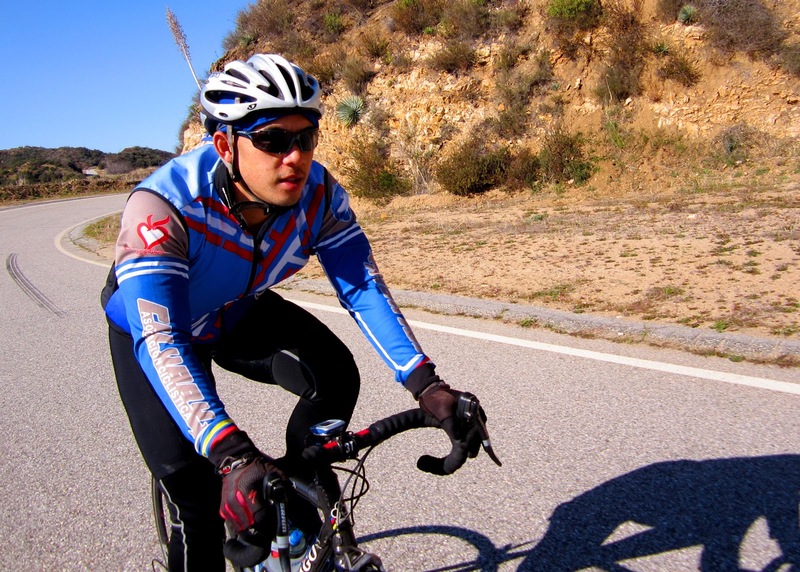 I would not have made it to East Fork on Fixed going Michael's pace. I still want to ride fixed all the way to Mt Baldy but I need to start training for Le Etape Du California, Ontario to Mt Baldy. 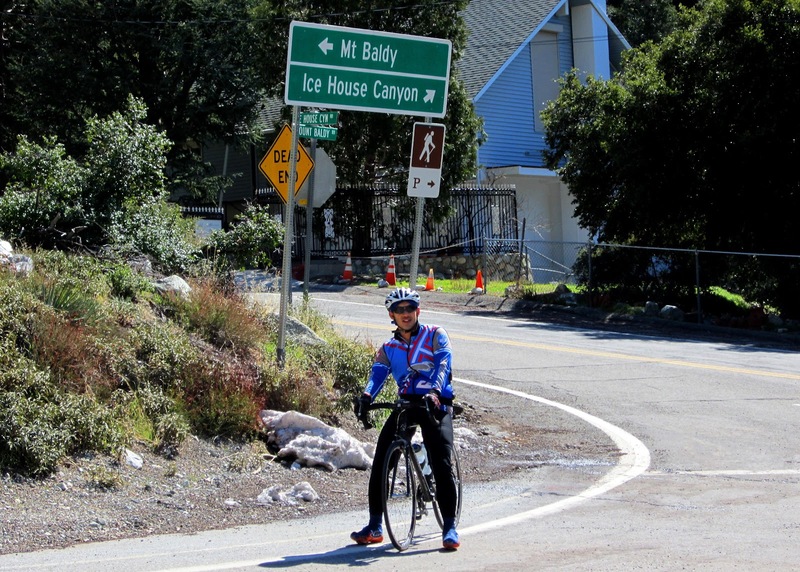 If I want to make Le Etape, I will need to pack in some more miles and more altitude training. Riding to the lifts hurts! Oh, challenge. You one-upped me (is that even a word). I guess I will have to do that ride to the ski lifts tomorrow. Ha! I bet it was a beautiful morning up there. It was a good ride. A bit cold but cloudless and blue. At Cow Saddle winds were a blowing. Have a good ride to the lifts.